The Texas Horse Racing Hall of Fame will honor its 2003 inductees at a dinner and gala in the Showplace Pavilion at Retama Park beginning at 4:00 p.m. on Saturday, October 4, 2003. The 2003 inductees will be Ott Adams, Cash Asmussen, Allen Bogan, Willard Proctor, Three Oh’s and Two Altazano. Ott Adams was elected in the category of Quarter Horse Individual. Considered the dean of Quarter Horse breeders for the first half of the 20th century, Adams spent his life raising Quarter Horses on South Texas ranch country around Alice and Alfred. Adams most influential and famous stallion was the foundation sire, Little Joe, which he bought from George Clegg. Adams produced scores of top foundation Quarter Horses such as Joe Moore, Zantanon, Grano Deo Oro, Pancho Villa, Lady Of The Lake, and Stella Moore. The influence of Adams’ Quarter Horses can still be felt today in the pedigrees of such top horses as Refridgerator and all-time leading stallion First Down Dash. Cash Asmussen was elected in the category of Jockey. Hailing from one of Texas horse racing’s most accomplished families, Asmussen was an international superstar as a jockey. An Eclipse Award winner as Best Apprentice Jockey in 1979, he shifted his tack to France in 1982, where he was a five-time champion jockey. His over 3,000 wins include victories in such top international races at the Prix de l’Arc de Triomphe (Fr-I), Breeders’ Cup Mile (Gr. IT), French Derby (Fr-I), Japan Cup (Jpn-I), Irish Derby (Ire-I), French 1000 Guineas (Fr-I), French 2000 Guineas (Fr-I), Washington DC International (Gr. IT), Turf Classic (Gr. IT), Coaching Club American Oaks (Gr. I), Mother Goose Stakes (Gr. I), and Hong Kong Cup (HK-I). He rode such champions and top horses as Montjeu, Hernando, Dream Well, Dear Doctor, Spinning World, Suave Dancer, In the Wings, Northern Trick, Soviet Star, Polish Precedent, Kingmambo, April Run, Mairzy Doates, Northern Trick. Allen Bogan was elected in the At Large category. Considered the dean of Texas horse racing writers, Bogan covered racing for newspapers in North Texas for 60 years. In addition, his “Morning Line” column was a fixture in “The Texas Thoroughbred” magazine for 25 years. Bogan was the premier historian of Texas racing until his death in 1997, and his generously preserved and shared that history both in print and in conversation. Willard Proctor was elected in the category of Thoroughbred Individual. Born in Lampassas in 1915, Proctor was a gifted horsemen who became one of the top trainers in the nation. He saddled 58 stakes winners that included multiple Grade One winner Convenience ($648,933), Santa Margarita Handicap (Gr. I) winner Lovlier Linda ($676,945) and Vosburgh Handicap (Gr. I) winner Gallant Romeo ($202,401). Three Oh’s was elected in the Quarter Horse category. A record setter at several tracks around the Southwest in 1968 and 1969, Three Oh’s staked his biggest claim to fame on the track when he captured the 1968 All-American Futurity (Gr. I). Owned by Dr. and Mrs. D. G. Strole of Abilene and trained by C. W. “Bubba” Cascio, Three Oh’s began a stud career at Dr. Charles W. Graham’s Southwest Stallion Station in 1970. Before his untimely death in 1976, Three Oh’s sired 57 stakes winners and the earners of over $4.7 million, including champions Oh Shiney and Maskeo Lad. Two Altazano was elected in the Thoroughbred horse category. An earner of more than $700,000, the daughter of Manzotti is best remembered for her victory in the 1994 Coaching Club American Oaks (Gr. I) at Belmont Park. One of the top fillies of her generation and Texas Champion 3-Year-Old Filly in 1994, Two Altazano’s other triumphs included the Fantasy Stakes (Gr. II), Fair Grounds Oaks (Gr. III), Monmouth Oaks (Gr. III), Marie DeBartolo Stakes, and the Sam Houston Oaks. Owned by the late Harold Goodman, she won nine of her 20 lifetime starts, including six stakes victories. 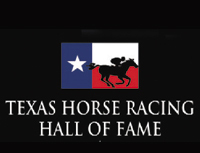 Tickets to the Texas Horse Racing Hall of Fame 2003 Gala are $100 per person. Reservations are due by Monday, September 22, 2003. For additional information, contact JoAnn Weber at (210) 651-7117 or Sharolyn Grammer at (210) 651-7120. The gala will be sponsored by Purina Mills, LLC, Retama Tack & Feed, Graham Land & Cattle Company, Chris & K. J. Hall, and Johnson & Johnson.